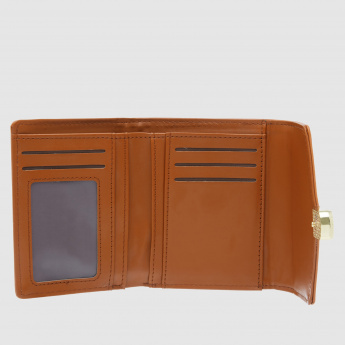 Flaunting a slim fold pattern, this alluring wallet will add class to your attire making you stand apart from the crowd. 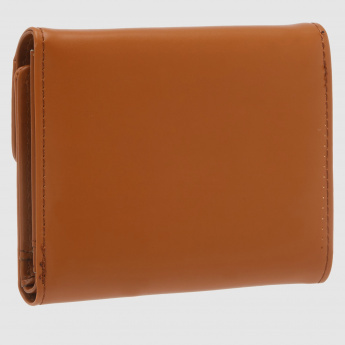 Sporting a number of compartments, this wallet is great to carry your essentials safely. 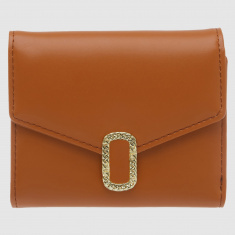 A metallic clasp is designed to give this wallet a dazzling appeal.